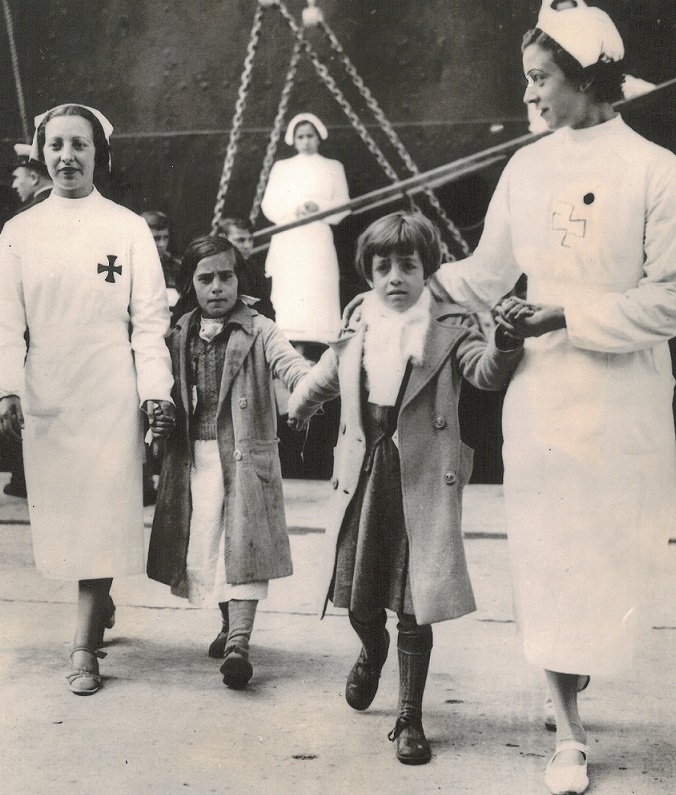 In May 1937, los niños, the Basque child refugees, were among approximately 4,000 children escaping the dangers of the Spanish Civil War who arrived at Southampton docks on board the Habana. 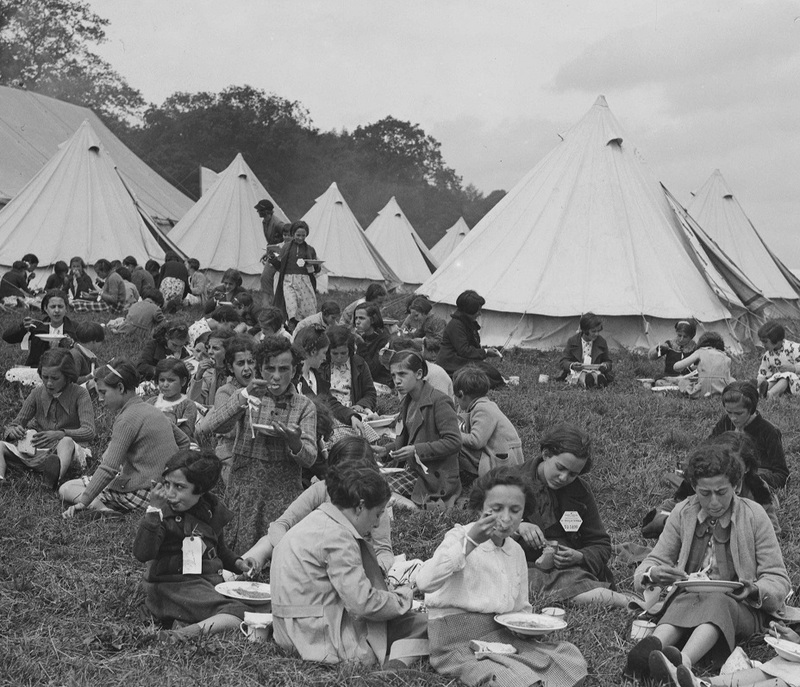 On arrival in Southampton, the children were to be sent to a camp at North Stoneham, near Eastleigh, on a 30-acre field lent by G.H.Brown of Swaythling Farm. This “canvas town”, as it was called, had been hastily erected and then extended to accommodate twice the original number of refugees after the Home Office changed its decision at the last minute allowing in 4,000 rather than the original 2,000 children. Work was carried out by hundreds of local volunteers — plumbers, carpenters, employees of the Southampton Gas Company and the Corporation Water Department, the Co-operative Society, Southampton Labour Party, the Trades and Labour Council the Scouts and Guides, Boys’ Brigade, Southampton Boys’ Clubs, members of the Round Table and the Rotary Club and students from University College, Southampton. 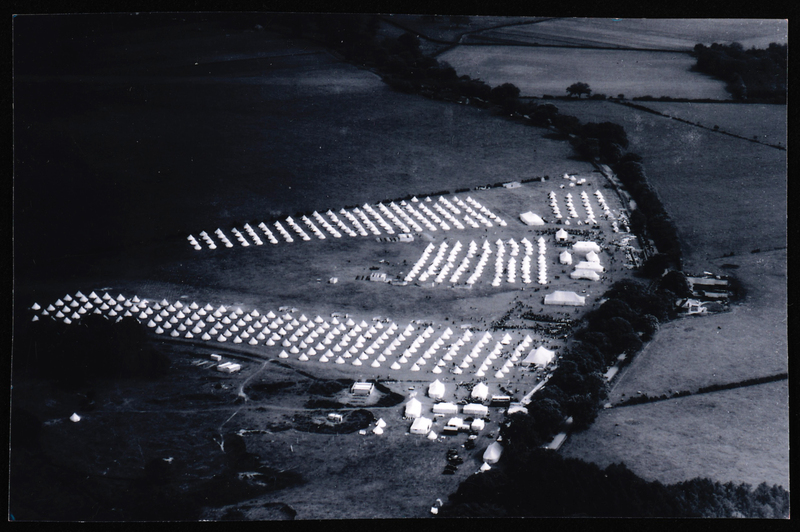 Many gave up their Whitsun holiday to help prepare the camp and, according to reports, “entered into the spirit of the occasion with splendid enthusiasm”. Appeals went out for clothes and equipment and for further volunteers to staff the depots where donations were to be sent and to assist with cutting up toweling and filling paliasses with straw. University College students spent several days cleaning and distempering Moor Hill, West End, a house loaned to the National Joint Committee for Spanish Relief to accommodate children who were sick or unable to endure camp life. Women students from Bournemouth Municipal School of Art converted banners that had been made by art students in honour of the coronation of George VI into sleeping bags for the children. “Viva Inglaterra!” was the cry that went up as the children, packing the railings of the Habana, made its entry into Southampton. 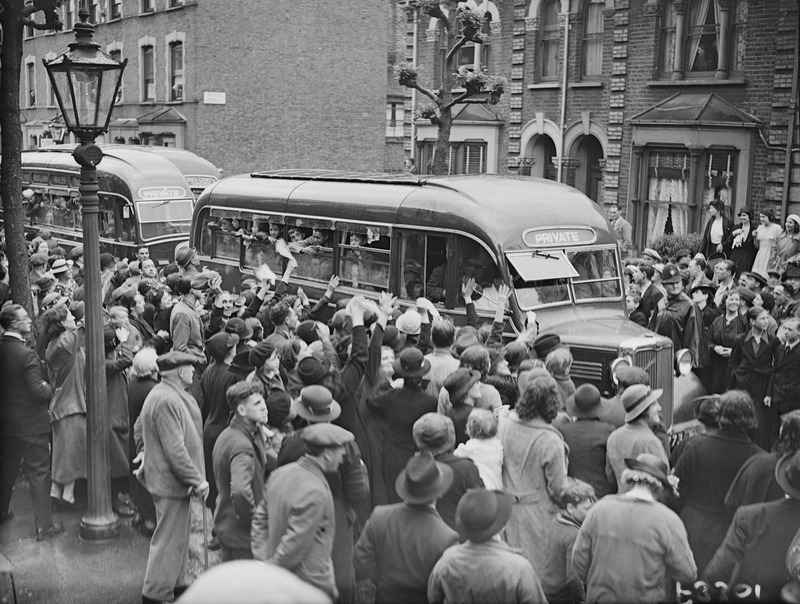 Most of the children recalled the warm welcome that met them on their arrival in the city. Each child was given a medical check on disembarkation. They then were tagged with different coloured ribbons to indicate if they needed to go to hospital, to the public baths for a wash or were able to go straight to Stoneham Camp. Those marked with red ribbons were taken to the public baths, as one girl found after swapping the ribbon because red was her favourite colour. After the checks were completed the children were bused to the camp at Stoneham. They were amazed to see hundreds of bell tents, that were as one boy noted “round tents like the Indians in America” an image taken from the Hollywood Western films. This image reinforced a sense of adventure for the children, even if the reality of living in a camp could be some what different, with the latrine trenches hated by many and music broadcast over loudspeakers each morning to wake the children from their beds. With the fall of Bilbao on 19 June 1937 was a realisation that the children were going to have to remain in the UK for longer than intended. Alternative arrangements were therefore made for the children. They were dispersed to be cared for by the Catholic Church, the Salvation Army, which accommodated children in a hostel in London, or in the so-called “colonies” set up by local committees across the country. Set up as a temporary arrangement, the camp was to remain open for four months: the last 220 children departed for St Mary’s Bay Holiday Camp at New Romney, Kent in September. 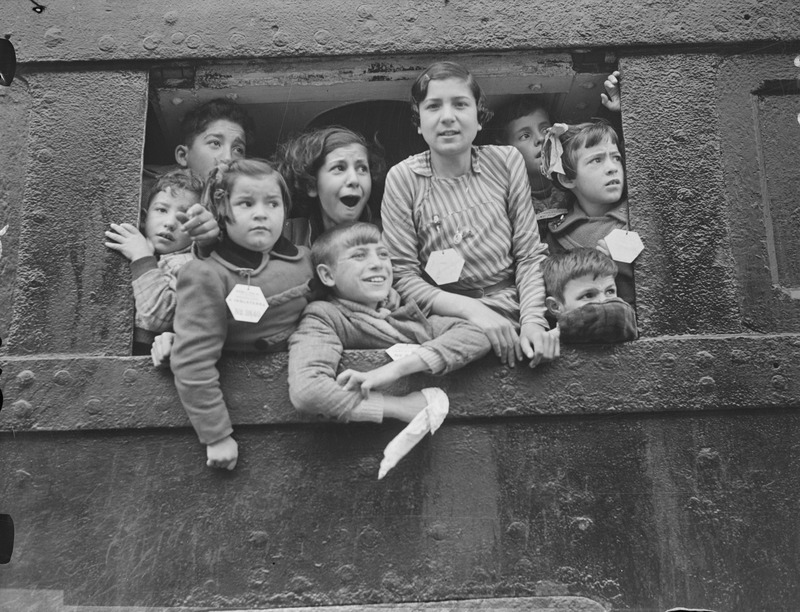 As the children said “Adios” to their temporary home, the camp administrator, Major Neil Hunter, reflected on the enterprise, including how around 1 million meals had been prepared at the camp over the four month period, and expressed a sincere thanks to all those in Southampton and Eastleigh who had given their support. The Special Collections at the Hartley Library, University of Southampton, holds archives relating to the Basque Children. 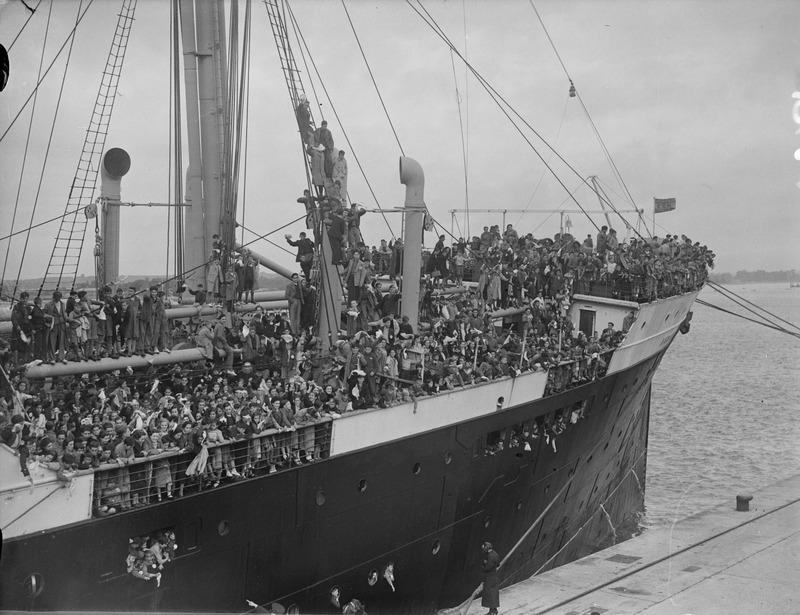 There is an online exhibition produced as part of a Heritage Lottery funded project to mark the seventieth anniversary of the arrival of the children. 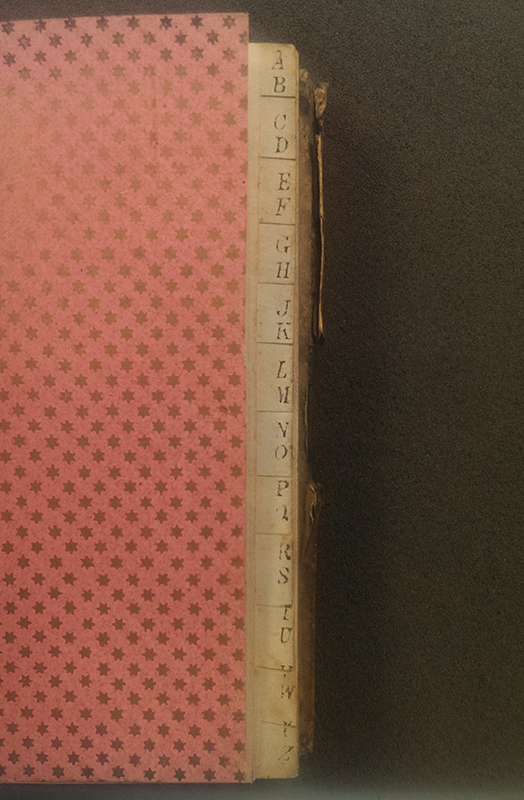 MS 112 LF 780 UNI 2/7/75/266 Interior: printed decorative endpapers in a gold star design; an alphabetical index with printed finding tabs. 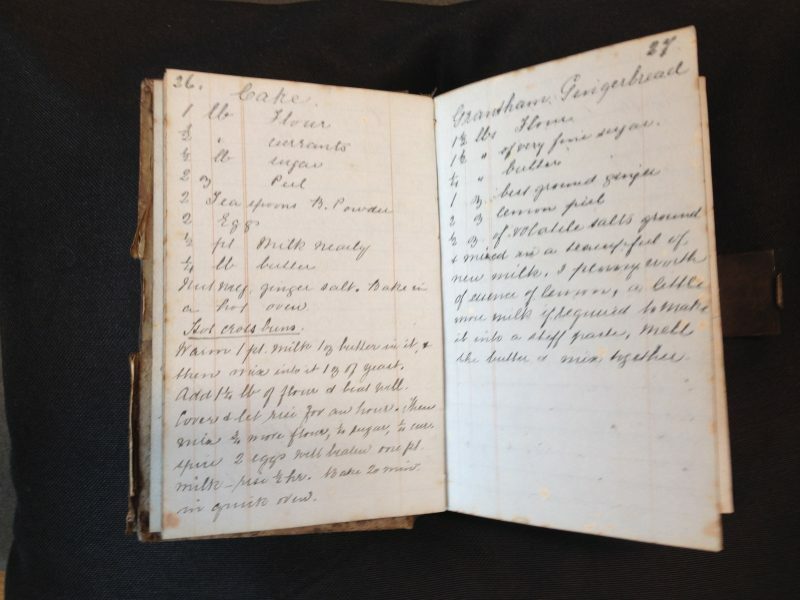 The recipe book is undated and we don’t know who originally filled its pages: but it is likely to be mid-19th century and was added to by several owners. 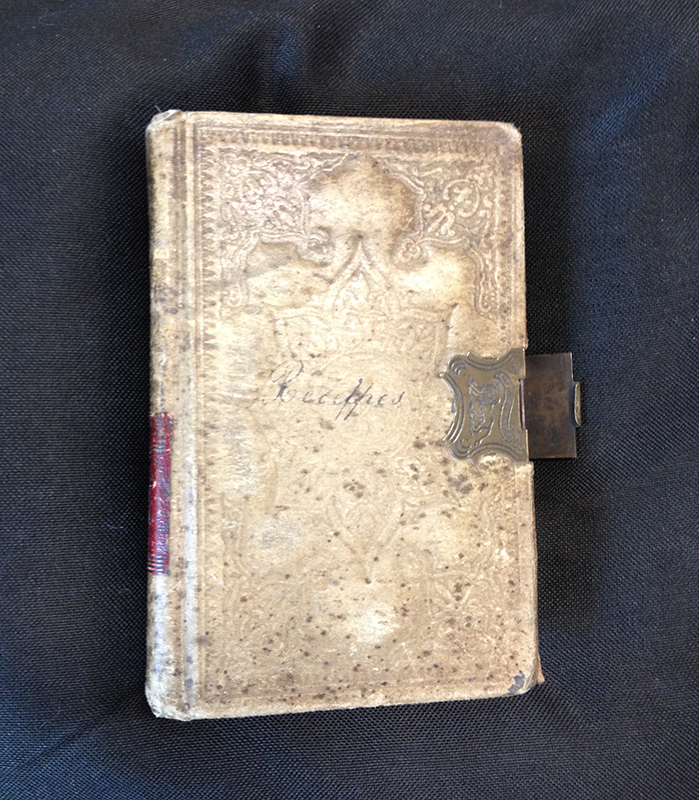 It contains fair copies of recipes in at least two different hands, plus a few printed recipes cut from newspapers. 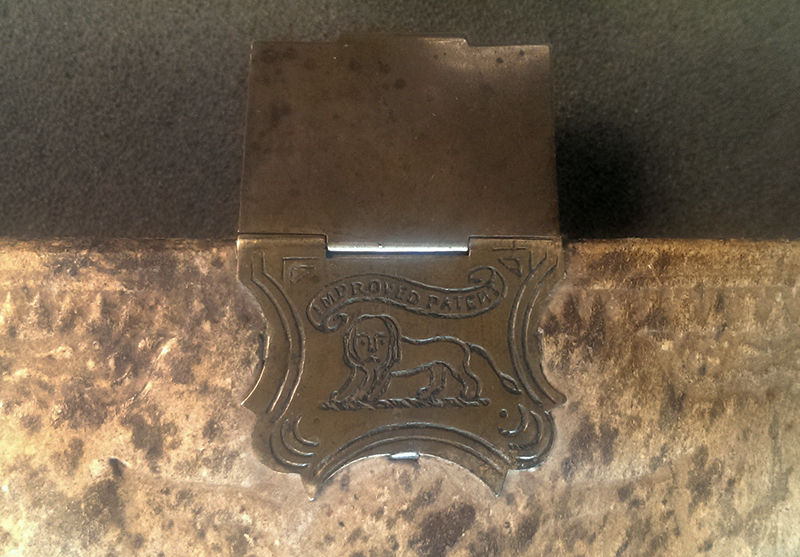 It was clearly in use long before it came into the collection of Miss Annie Mary Trout, who worked as a lecturer in Mathematics at University College, Southampton, in the 1920s. It was the recipe for Grantham Gingerbread that caught my eye: seen here on the right-hand page; (on the left-hand page you can see recipes for ‘Cake’, and Hot Cross Buns). Another name for the ‘volatile salts’ in the recipe is ‘Baker’s Ammonia’ or ammonium bicarbonate, which was used as a raising agent in the days before baking powder was commonly available. It has a strong and horrible smell – these were the salts that were used to revive fainting ladies in Victorian times! It wasn’t an ideal ingredient, as the smell of the ammonia released during heating might linger after cooking. By the mid-19th century, when this recipe was copied out, baking powder was already available – so this was an ‘old’ recipe even at that time. What did it taste like? Mix ingredients together until a stiff dough is formed. Pat into a ball and knead until smooth. Divide into 24 equal pieces, rolling each into a ball; place onto a greased baking tray, allowing room to spread. Once I had worked out some alternative ingredients, and halved the quantities, the 19th-century recipe seemed easier to make than my modern recipe. Everything was stirred together, which took little effort (no need to cream butter and sugar, or beat in an egg; no sifting; and using melted butter and a little milk makes it easy to work in the large volume of flour!) Be careful to pour in the milk, a little at a time. Add ginger to taste, but note that the original recipe calls for ‘best ground ginger’, probably fresh ginger, rather than the dried ground ginger we use today. For an excellent modern version of Grantham White Gingerbread try the recipe in Julie Duff’s Cakes – Regional and Traditional. 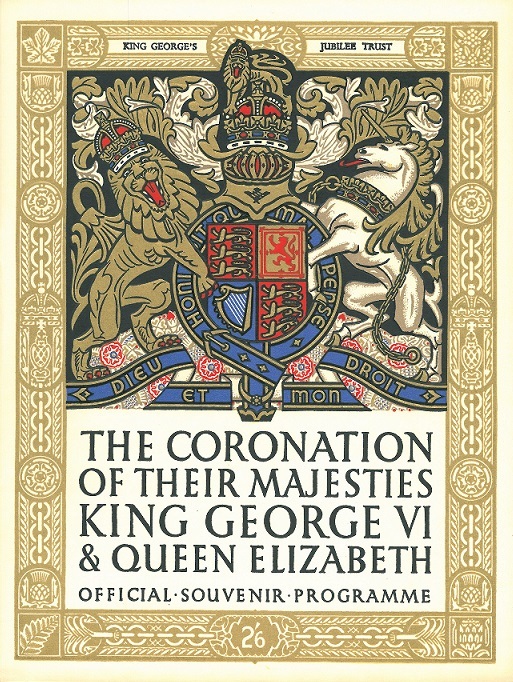 On 12 May 1937 the coronation took place of George VI and Queen Elizabeth as King and Queen at Westminster Abbey. The King and Queen’s daughters, Princess Elizabeth and Margaret, attended the ceremony, together with the Dowager Queen Mary. Also invited were members of the extended royal family, members of the peerage and Members of Parliament. 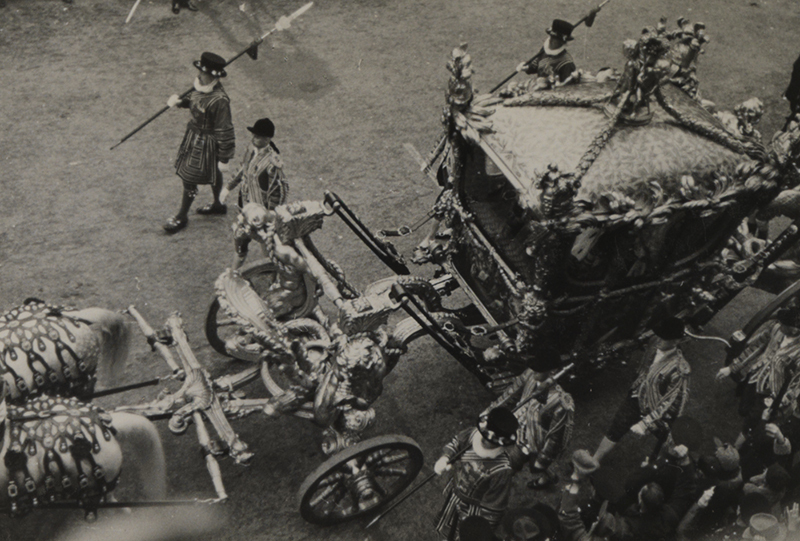 Lord and Lady Louis Mountbatten and Patricia Mountbatten were amongst those who attended, with Lord Louis Mountbatten riding in the processions behind the state coach to and from Westminster Abbey. The guest list further included royals and representatives or ambassadors from across the world, such as Prince and Princess Chichibu of Japan, monarchs of the Netherlands, Norway, Sweden, Denmark and Iceland, Yugoslavia, leading colonial administrators, princes from the Indian states. Invitations were issued to representatives of the trade unions and co-operative societies, such as Lizzie McCulloch, a factory worker from Glasgow, one of four people who received an invitation through the Industrial Welfare Society. The coronation is probably the oldest ceremonial in the UK and the earliest preserved coronation ritual dates from the eighth century. All the principal rites of the present coronations — the recognition, the oath taken by the sovereign, the anointing, investiture and crowning — are to be found in the Saxon rituals. The recognition recalls the time when the monarch was presented to their bishops and peers and acknowledged as King by their acclamations. The anointing of the King, which is seen as a pivotal point of the ceremony, culminating in the crowning, represents the sacred as well as the civil office to which the monarch is admitted. Following the crowning by the monarch, for which the St Edward’s Crown is used, the King receives the homage of his spiritual and temporal peers. Once completed, this is followed by the Queen’s coronation, a shortened form of the ceremony, which also can be traced to Saxon times. 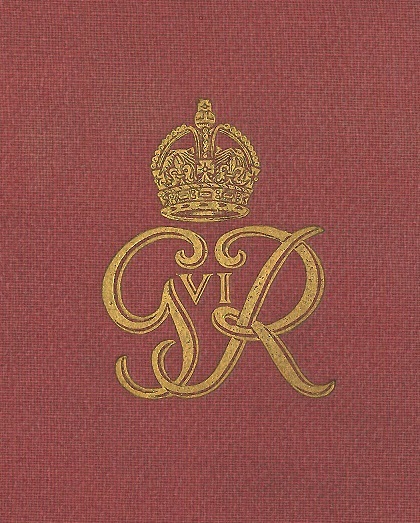 The King was arrayed in a robe of purple velvet and the Crown of State, instead of the St Edward’s Crown, for the state procession with the Queen from Westminster Abbey to Buckingham Palace in the state coach. 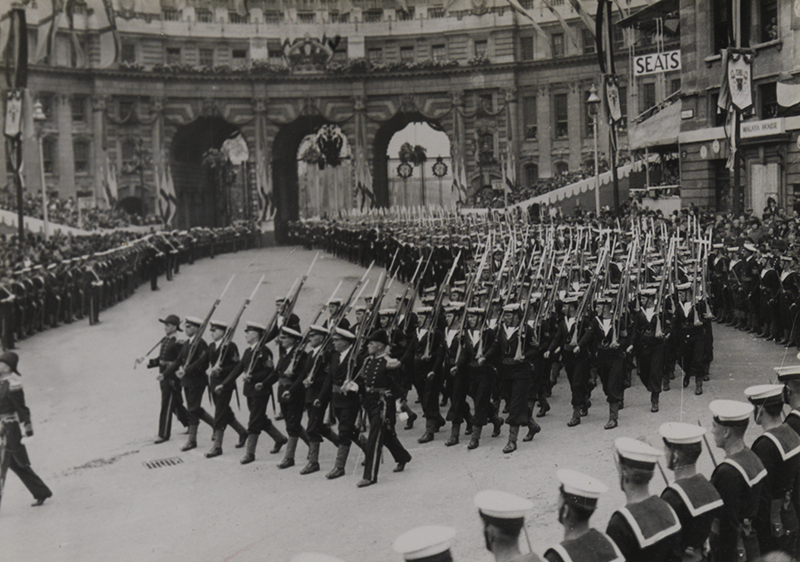 Timed to leave Westminster Abby at 2.15pm, the route for this state procession in 1937 was considerably longer than that for George V in 1911. Bands were stationed along the route and detachments from the Royal Navy, Army and RAF and reserves, together with representatives from the Indian Army and Navy and contingents from the dominions, took part. The streets of London along the procession route were thronged with people hoping to catch a glimpse of their new monarch. It was a time of great celebration and a day to remember for all those who watched, and the millions who listened to the new monarch make a radio address that evening.